This upgrade for the DJI Phantom and Phantom FC40 Quadcopter will greatly improve your flight time. Be sure to add the XT60 Parallel Adapter and Dual Battery Tray Expansion Kit from the drop-down menus on this product if you don't already own them. 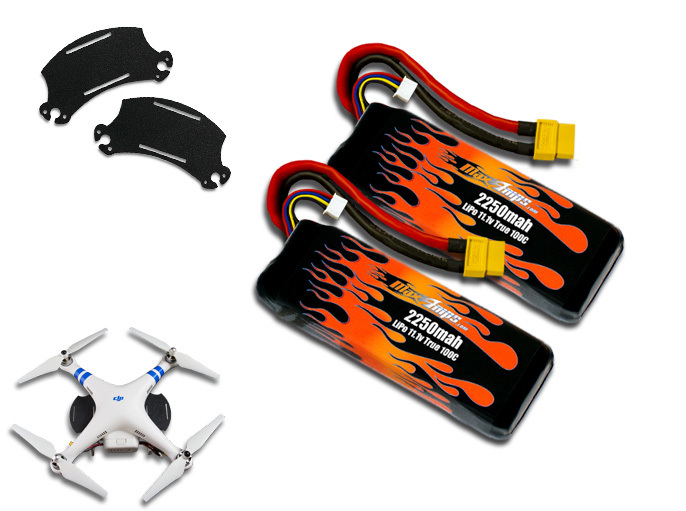 These are required to fly this dual battery setup. By using these packs in parallel, you will be running a 4500 11.1v setup. This will double your flight time. Top of the line quality, exceptional price. Use this bad boy in my LiPo PWM box mod. Can vape over 1,000 watts with this beast and the battery has sublime craftsmanship.